Many people choose not to use their hot tub during the winter months for reasons ranging from the tub being too far from the house, utility costs or perhaps it being located at a vacation home that isn’t used. Whatever the reason, if you do not want your hot tub operating this time of year & you live in a cold climate, you will need to winterize it or else the water will freeze and the expansion of the water as it turns into ice will destroy your tub. The most important thing to remember when winterizing your hot tub is that all the water needs to be removed. To do this, first turn off all power to your hot tub at the breaker or, if it is a gfci plug in hot tub, unplug it from the outlet, coil up the power cord and wrap the gfci plug in plastic then place it inside the equipment compartment. Next its time to drain your hot tub so open up any adjustable jets and venturi air valves to allow for better drainage. If your hot tub has a drain spigot (all Freeflows do) simply open it up and drain all the water out of the spa. If not, use a submersible sump pump or siphon. Make sure you lower the drain hose at or below the lowest level of water in the hot tub to be sure it all drains out. This is especially important if you attach a hose to the drain spout. If you have a blower, this would be a good time to temporarily reconnect the power and turn it on for 20-30 seconds to blow out any water. When you are done draining your hot tub, leave the drain spout open. If you have some water left in the foot well, recessed seating areas, filter cavity or anywhere else, make sure you bail it out with a bucket and or sop it up with towels or a large sponge. Inside your equipment compartment it is important to loosen and release the water from your heating element and pump housing. The large plastic white unions that attach your heater and pump(s) to the rest of the hot tub should be loosened until some water spills out. If your pump housing has drain plugs on them, open them up. Next, close or turn off any air venturi valves. Since your system will still have some residual water in it, it is a good idea to use the blowing end of a shop vacuum and blow air into all of the jets in your hot tub for a few seconds at each jet and also the opening to the filter (filter should be removed). Most of the water should now be out of your system. 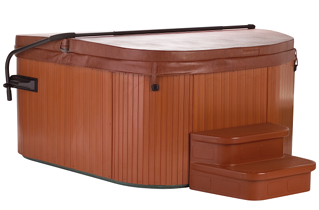 Place your cover back on the hot tub and secure it so that it will not blow off in high winds. Close your equipment compartment at re-attach any screws or latches. Lastly, make sure the power to the tub is turned off at the house breaker. 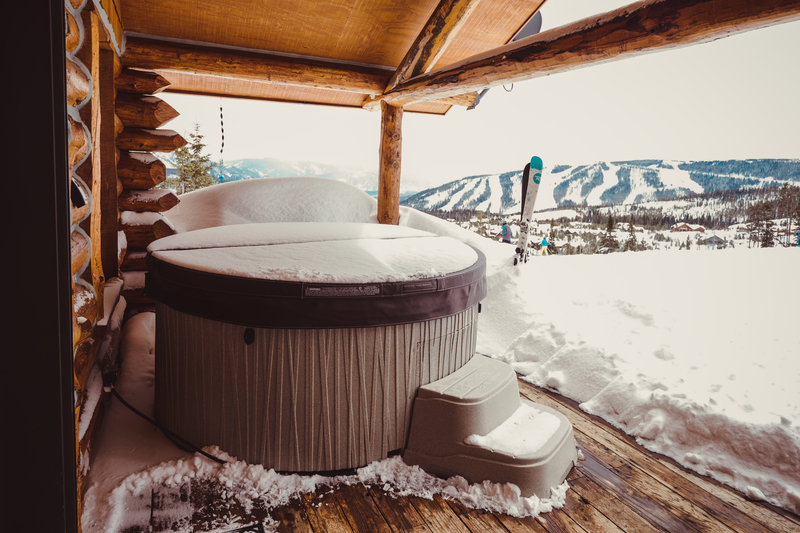 Following these steps will ensure that your hot tub is fully winterized and will be in working condition when you are ready to use it in the spring. Just make sure to re-attach all the unions, drain plugs and close the drain spigot before refilling your hot tub when you are ready to use it again. Interested in pricing on a specific hot tub? Get Pricing from your closest hot tub retailer today!